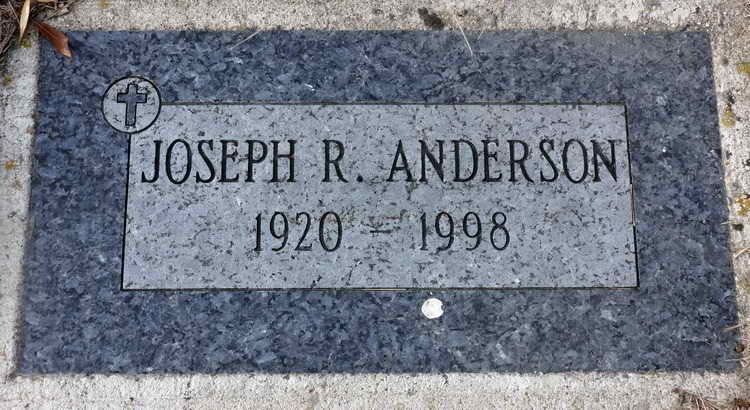 Grave marker for Joseph R. Anderson in Choteau Cemetery, Choteau (Teton county), Montana. 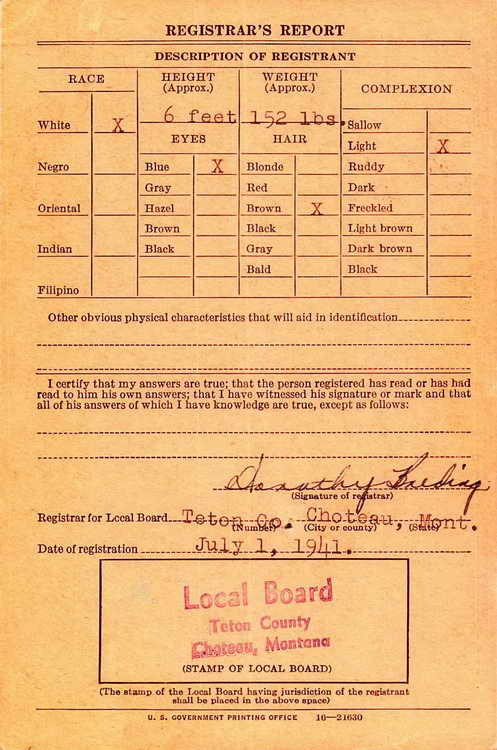 Joseph registered for the draft on 1 July 19412 but was not inducted into the Army until 22 June 1942. 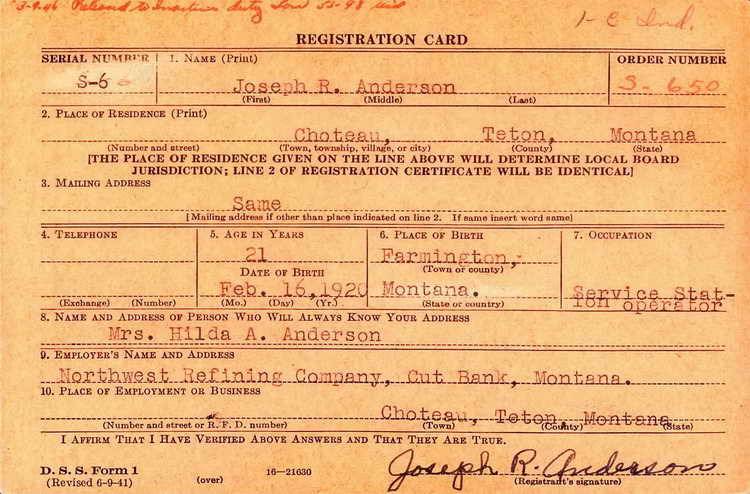 On 9 Decembe3r 1942, Pvt Anderson was transferred from Fort Benning, GA to Hq 3rd,m 508th PIR. He was appointed directly to the grade of Corporal on 23 February 1943 and then to Sgt on 25 April. By 4 November 1943 he appears as a SSgt in Hq 3rd Morning Reports. SSgt Anderson was discharged on 11 September 1944 o accept a commission and the following day he put on the rank insignia of a 2nd Lt. He was transferred from Hq 3rd to Hq 2nde as a result of the rank change. He was wounded in action that same day but returned to duty on the 18th. He ws wounded a second time on 2 October. 2nd Lt Anderson switched gold bars for silver when he was promoted to 1st Lt. on 15 March 1945. He was discharged on 8 March 1946. His military decorations include the Purple Heart with 1 OLC and the Bronze Service Arrowhead device awarded for participation in the Normandy assault. 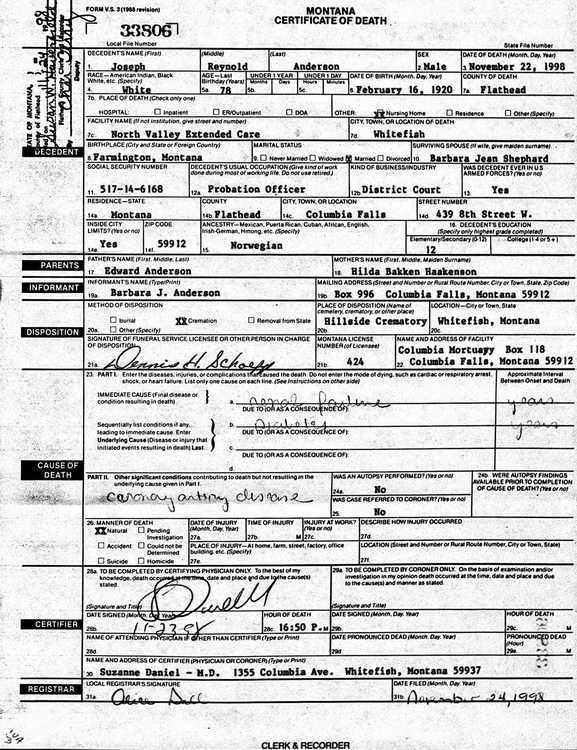 Joseph, a retired probation officer, died of renal failure and coronary artery disease on 22 November 1998.